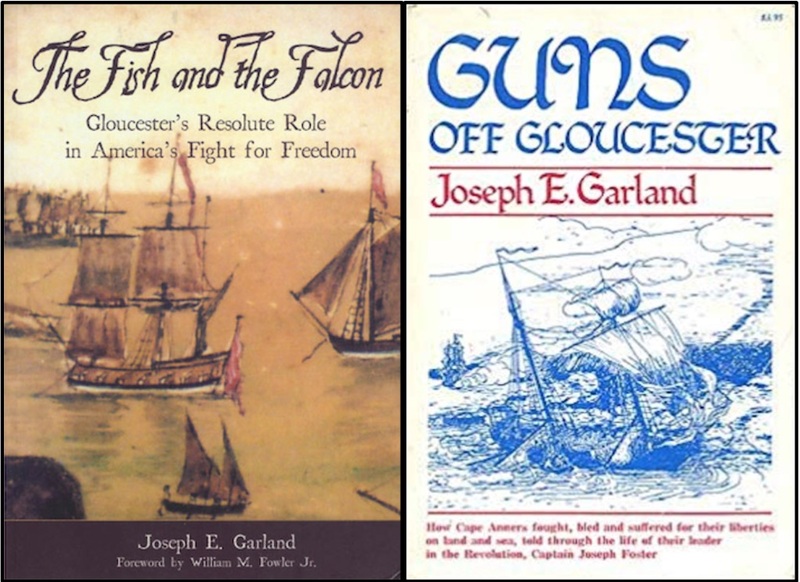 Joe Garland’s book, Guns off Gloucester, published in 1975 told of an important early skirmish of the American Revolution on August 8, 1775 in Gloucester Harbor. This event will be re-enacted on August 11. My friend Terry Weber Mangos, and I were intrigued and wanted to know more. We met with David Nunes, the organizer of the event at the park on Fort Square in Gloucester. He was there to share with the neighborhood the details of what will surely be a grand spectacle and important re-enactment event in the harbor. David Nunes impressed us with his love of Gloucester and its history. He was sixteen in 1976 when Massachusetts towns were conducting all manner of events celebrating the American Bicentennial. That year, David took part in the original re-enactment of the Battle of Gloucester. What will happen at the re-enactment? This is our understanding of what will take place, subject to change, as plans are still in progress. Two Colonial schooners enter the harbor; one captured by the HMS Falcon and at anchor off Ten Pound Island. The other schooner will be “grounded” on Pavilion Beach. (In 1775, this would have occurred at Five Pound Island). The crew will alert the militia. British troops arrive by smaller boats and attempt to seize the grounded schooner. The Gloucester Colonial militia gather and ambush the British troops. Captain Linzee of HMS Falcon attempts gain control by fighting back with cannon fire. He wants to create a diversion with fire so that his troops can escape the ambush and return to the Falcon. He sends additional troops in with torches to set Gloucester on fire. 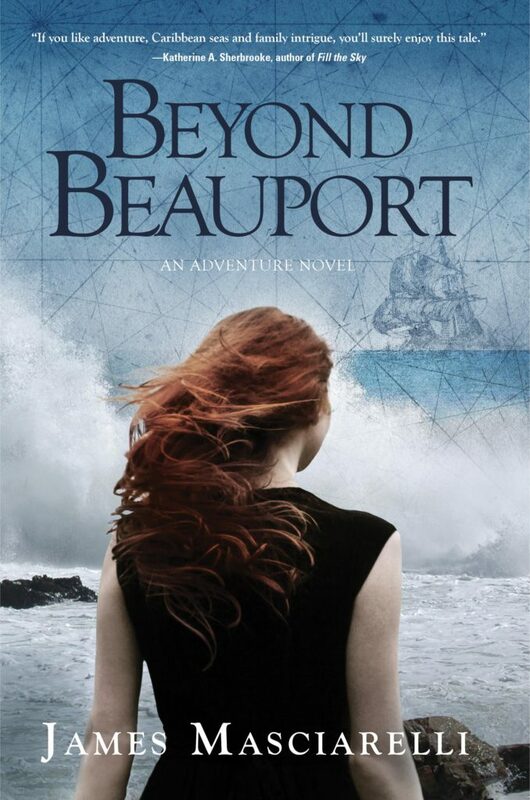 But, his tactics fail as he faces a stubborn and brave Gloucester militia, fishermen and farmers. British troops onshore will be captured by the Gloucester rebels. The captured Gloucester men on the other schooner revolt, exchange fire with the HMS Falcon, but eventually escape. The British are forced to retreat. The participating schooners are the Lewis H. Story from the Essex Shipbuilding Museum, the pinky schooner Ardelle of Gloucester, and the Fame from Salem. These vessels were designed and built by Harold Burnham. Representing the Gloucester militia will be members of the 4th Middlesex Regiment, the Sudbury Companies of Minute and Militia, the Acton Minutemen and Glovers Marblehead Regiment. On the British side will be members of the His Majesty’s 4th Regiment of Foot, the King’s Own Rangers and possibly members of His Majesty’s 10th Regiment of Foot. The timing for this event is perfect as Gloucester prepares to celebrate its glorious maritime history in anticipation of its 400th Memorial in 2023, five years from now. This event may serve as a pilot for the coming celebration. We would love for this re-enactment to be part of it. The King of England owns! ← Why Don’t You Join the Navy?